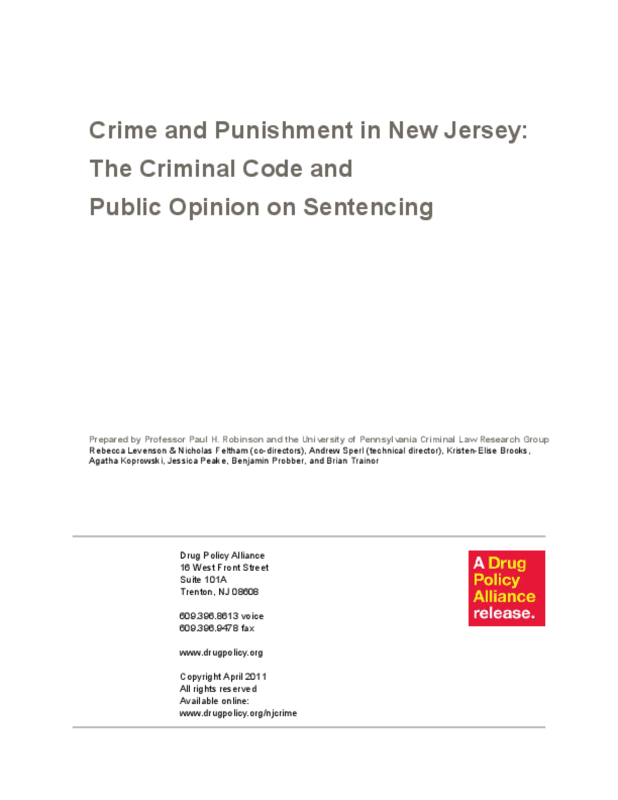 In 1978, the New Jersey Legislature enacted its Code of Criminal Justice (codified as Title 2C), followed by a host of amendments to the Code before it took effect in 1979. New Jersey's code, along with the criminal codes of at least 33 other states, is modeled on the Model Penal Code of the American Law Institute. Title 2C, like other Model-Code-based codes, is meant to be relatively comprehensive; that is, included in its offenses and suboffensesis most criminal conduct, and certainly all serious criminal conduct. Yet extensive legislative activity since 1979 has dramatically increased the number of offenses and suboffenses beyond the 243 of the original code. Today's Title 2C contains an additional 407 offenses and suboffenses -- for a total of 650. In addition, there are now 904 criminal offenses in New Jersey law defined outside of the Code of Criminal Justice. Unfortunately, the stream of code amendments have paid little attention to already-existing offenses or their grades, resulting in a system of offenses marked by inconsistent and contradictory grading differences, as well as offense grades that seriously conflict with the values of New Jersey residents. One of the greatest drafting advances of modern criminal codes -- one now used even by jurisdictions (and countries) that did not otherwise have a modern criminal code -- is the creation of a system of offense grading. Under grading schemes, each offense is categorized into one of several grading categories that distinguish offenses according to their level of seriousness. New Jersey adopted four degrees of crimes (1st through 4th degree) and two degrees of disorderly persons offenses (disorderly persons and petty disorderly persons). Later, a "super grade" category was added to mark out the most egregious crimes. As will become apparent from the analysis below, the New Jersey Code's grading scheme, probably flawed from the start, has become increasingly irrational in its categorizations and unfair in its application. Copyright 2011 Drug Policy Alliance.